Working with #Kamini, #Murraya paniculata plant is a satisfying experience, this plant was gifted by my friend #SwathiGule of #EraGardens. I love the plant. 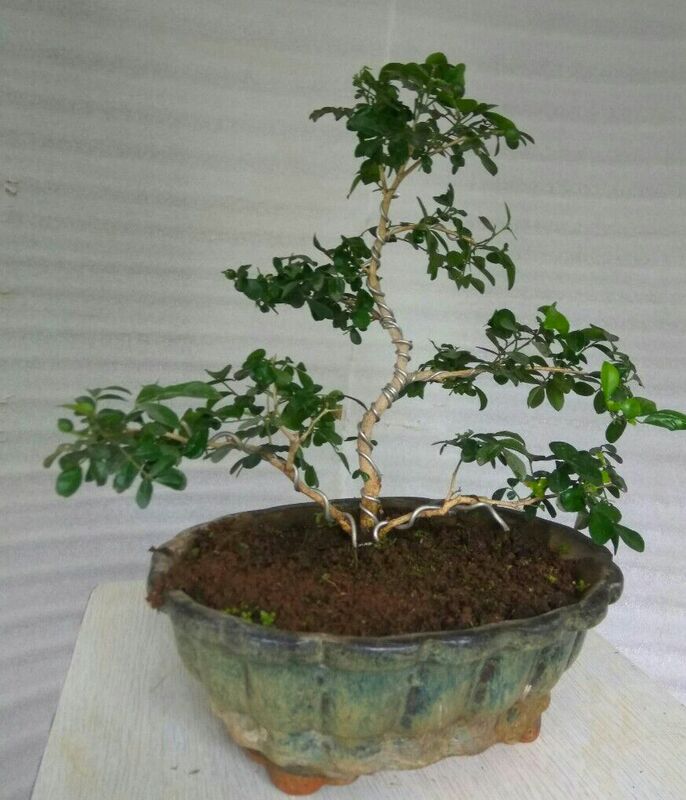 this plant is tropical evergreen and gives flowers similar to jasmine with strong fragrance, While shaping, it became difficult for me to select which branches should keep and which are to be removed. Branches near base of the trunk line are looking good. I kept them as they are, and did wiring. Felt like filling empty space at the base of trunk line a rock was placed. By wiring and cutting less branches a shape was given, bud like new leaves were removed to encourage new growth. I am satisfied and re potting done to a Bonsai pot. Then after six months I felt like changing style of the plant,took off the rock. Did new wiring by removing old wires of the branches, Murraya now changed style to formal upright. Now I am waiting to see my plant fill with white bright flowers. Visit shailaja's profile on Pinterest. kapilaascreations. Awesome Inc. theme. Powered by Blogger.